Our final poetry news roundup of the week takes a look at the claims of “unacknowledged debt” made in an academic paper, and the winner of this year’s Caterpillar Poetry Prize. 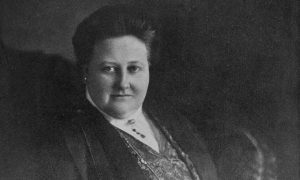 An interesting paper, Myths, Legends and Apparitional Lesbians, written by a lecturer in English at the University of York, Dr Hannah Roche, has made claims that the work of Amy Lowell, a relatively unknown poet, can be seen in the work of both Ted Hughes and D.H Lawrence. A claim she is quick to point out she would not call plagiarism but rather an “unacknowledged debt”. Lowell was born in 1874 in Massachusetts. During her lifetime, she published an impressive 650 poems and her collection “What’s O’Clock” was awarded a posthumous Pulitzer prize. However, by the end of the 20th century much of her poetry had been wiped out, her name was only really known in respect of her dealings with fellow poet Ezra Pound, her distant family ties to Robert Lowell and correspondence between her and D.H Lawrence. During her lifetime, Lowell would have been seen as a rather unpopular figure. Not only was she a woman, but she was also on the larger side and a lesbian, all things which are very likely to be factors in the unpopularity of her poetry and her relative lack of fame. Roche believes that “Pike”, one of Hughes’s most well-known poems, bears some significant similarities to the poem “The Pike” written in 1914 by Lowell. The descriptions given to the fish, the imagery, and many of the words appear in an almost identical pattern in both poems. Hughes wrote Pike in 1959. She believes that readers of both poems could easily believe that the poem by Lowell was a shorter draft of Hughes’ poem or that Hughes had read and used some of the best imagery. The Ted Hughes estate had responded to these claims, denying that that poem was inspired by Hughes childhood and his early memories of fishing when his family moved to south Yorkshire in his early childhood. Roche is convinced that whilst the inspiration may well have come to Hughes from his childhood the inspiration for the imagery came from Lowell. She goes on to make similar claims about D.H Lawrence and the Sapphic bathing scenes in the novel “The Rainbow” which bears similarities to “In a Garden” a poem by Lowell. Again, both works show a great deal of imagery that is very comparable. 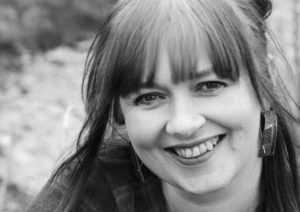 Since winning the inaugural prize, Greig has published her first children’s book, which has received a nomination for the Kate Greenaway Medal and has also been shortlisted for the Waterstones’ Children’s Book Prize. The winning story will be published in The Caterpillar in the winter issue.